Prolong The Agony release their highly anticipated 5 track EP 'All We Are' on the 20th April 2015 through In At The Deep End Records. Hailing from the southern shores of the UK this quintet have conspired to create a twist on modern metalcore music with 'All We Are', seeing the band show an ability to blend melody with crushing chorus' and infectious riffs all back up by Larry Welling's powerful booming vocals. With relentless touring in Europe and the US (Vans Warped Tour) over the past 2 years supporting the likes of Tonight Alive, Iwrestledabearonce and Crossfaith, Prolong The Agony have developed into one of the most promising metalcore bands in Europe. 'All We Are' will be release on the 20th April 2015 on CDEP and Digitally. 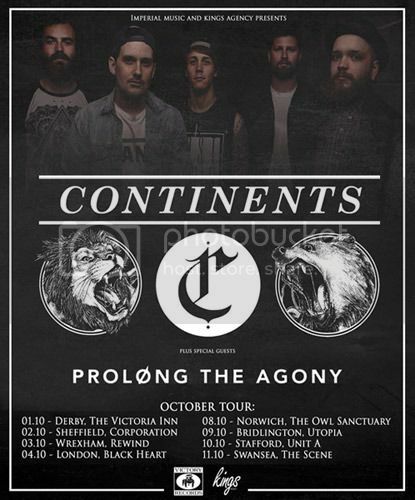 Prolong The Agony have been announced as main support to Victory Records' Continents for a 8 day Tour of England and Wales. This will be the guys first full tour since the release of of their highly acclaimed EP 'All We Are'! Prolong The Agony start their run of 6 dates across the UK on Monday!! Prolong The Agony's crushing brand new EP 'All We Are' is now being streamed on Metal Hammer's website get your ears over there asap to give it a listen!! Prolong the Agony's video to be debuted on Metal Hammer today!! Prolong The Agony's video for 'DEAD DREAMS' will be debuted today on the Metal Hammer website at 5pm! 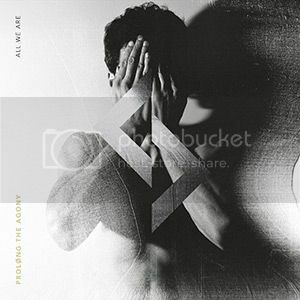 This is the first single taken from their new release 'ALL WE ARE' via In At The Deep End Records! Make sure you're there for this! 'All We Are' is now available for pre-order for £4.95 (post paid in the UK) you also get a Prolong The Agony vinyl sticker and badge with your order free of charge and some other IATDE goodies!! Prolong The Agony join IATDE Records!! IATDE Records is extremely proud to announce that we will be releasing Prolong The Agony's EP 'All We Are', followed up by their debut album. Over the last 15 years we've released debut records from the likes of Suicide Silence, Gallows, Sylosis, ARCHITECTS, The Defiled, Feed the Rhino etc and we feel Prolong The Agony will carry on that long line of success stories that come through 'Academy Of Mayhem'. This is a young band that can blend massive amounts of melody into their no nonsense brutal attack. They could have a huge future! To coincide with this announcement you can hear the title track of the EP 'Dead Dreams' below for one week only! You can also view their previously release video 'Loveless' this track will also appear on the EP.